Curtis "Kurtis Blow" Walker, (born on August 9, 1959, in Harlem, New York) is one of the pioneer rappers in the recording industry, and hip hop's first mainstream star. "The Breaks" (1980) is one of hip hop's undisputed classics, with its catchy disco tune and rapping style. Blow was influenced by DJ Hollywood. He became an MC in his own right around 1977, and changed his name to Kurtis Blow (as in a body blow) at the suggestion of his manager, future rap mogul Russell Simmons. He became an MC in his own right around 1977, and changed his name to Kurtis Blow (as in a body blow) at the suggestion of his manager, future rap mogul Russell Simmons. Blow began his career in New York City in the mid-1970s, when he was a breakdancer until switching to DJing under the name Kool DJ Kurt and then finally rapping. He was the first rapper to record a full length album on a major label (1979). This occurred after recording "Christmas Rappin", his first single; during this time, "Rapper's Delight" by the Sugarhill Gang became the first hit for hip hop. The whole field was derided as a fad, though, and thus there was much resistance to signing Blow. In 1980 he opened for reggae legend Bob Marley at the Madison Square Garden where he performed for an audience of 20,000. He has appeared in several feature films, including Krush Groove and The Show. A duet with rock icon Bob Dylan called "Street Rock", appeared on Blow's 1986 album, Kingdom Blow by special arrangement of Wayne Garfield (Garfield and Blow co-wrote, "Reasons For Wanting You" on Kingdom Blow) and Debra Byrd, American Idol's head vocal coach and former Dylan backup singer (see album credits). And in 2004, he recorded the song "Hey Everybody" with Max C and Bomfunk MC's for their album, Reverse Psychology. He also co-wrote songs with The Fat Boys, including their signature songs, "Fat Boys" (1984) and "The Fat Boys Are Back" (1985). 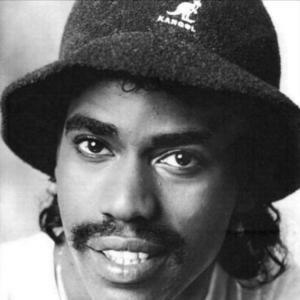 Kurtis Blow also became the first hip hop musician embraced by the mainstream advertising industry with his appearance in a commercial for the soft drink Sprite. He is currently a DJ on Backspin 43, which is the old school hip hop station on the Sirius Satellite Radio service. According to an interview with I Suppose Productions, he is also currently a theology major at Nyack College working to enter the ministry. According to Blow, "Man's real telos... the real purpose in life, is to serve God."